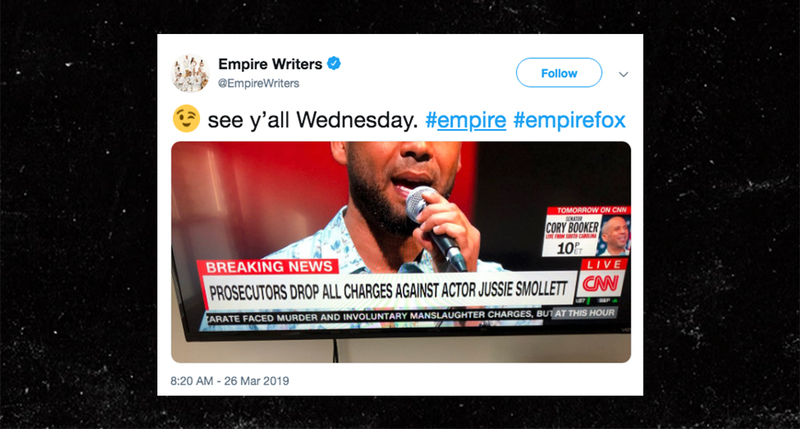 Although he decision is not sitting well with Chicago PD, Jussie’s co-workers on “Empire” are celebrating on Twitter. After his lawyers ran to court Tuesday morning in Chicago, where he was facing 16 felony counts of lying to police in the alleged racial and homophobic attack. Jussie will surrender his $10,000 bond. But, that’s it. The case is over. We’re told the State’s Attorney, Kim Foxx, told Chicago police she was dropping the case because Jussie would have only gotten community service if convicted and she said he has already performed community service so there is no point in prosecuting him.